Montagu A cappella is a group of around thirty, joyful, amateur singers of different nationalities, ages (from early 30s to late 70s) and backgrounds - who love the adventure, challenge and rewards of unaccompanied 4-part harmony singing. We meet weekly to sing in different musical styles: the prayerful, poignant and uplifting songs originating from the Taiz community in France; the toe-tapping, nostalgic pop songs of "The Fab Four" - The Beatles; and the beautiful Carols of the Christmas Season, to name three genres. In 2015 we plan to start with the "Doo-Wop" songs of the 50s and 60s, and multi-national peace songs, whilst continuing to expand our existing repertoire. We're available for singing engagements, whether they are sacred ceremonies, happy celebrations, times of solemnity, or moments when we hope our music will touch the heart, mind and spirit. We even give occasional "flash-mob" performances! 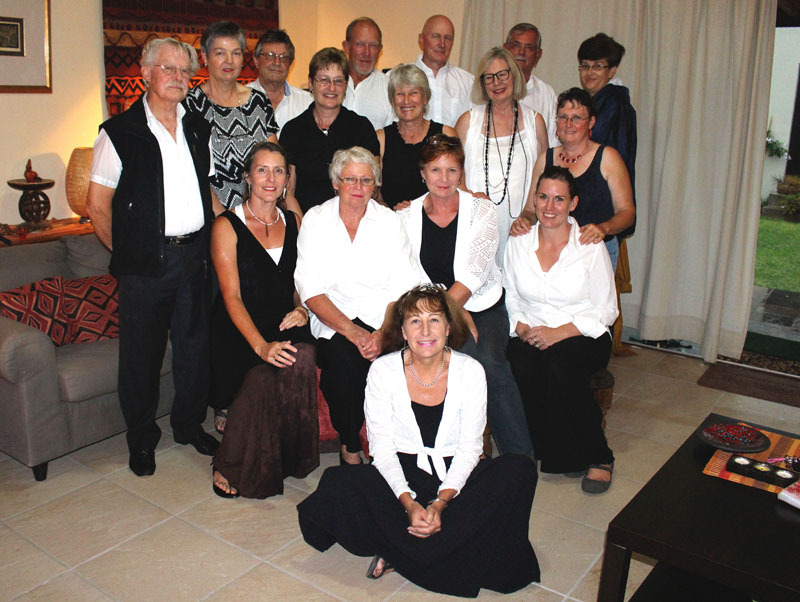 All funds raised from our singing are donated to worthy NGOs/NPOs in the Breede River Valley. This is because we see our music-making as a gift to be shared in creative ways. New members are always welcome too, especially when we begin a new genre of music. Sight-reading skills are not needed. All that is required is an ability to memorise and hold a tune/harmony when others around you may be singing a different part, as well as a commitment to attend weekly rehearsals and do a little homework to consolidate your progress. But don't wait too long, will you?! We look forward to singing to you, for you, or with you ... soon. Phone Eve on 060 5000 496.